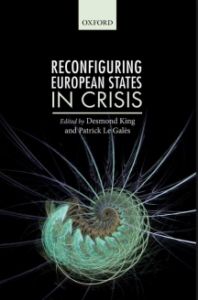 Reconfiguring European States in Crisis offers a ground-breaking analysis by some of Europe’s leading political scientists, examining how the European national state and the European Union state have dealt with two sorts of changes in the last two decades. Firstly, the volume analyses the growth of performance measurement in government, the rise of new sorts of policy delivery agencies, the devolution of power to regions and cities, and the spread of neoliberal ideas in economic policy. The volume demonstrates how the rise of non-state controlled organizations and norms combine with Europeanization to reconfigure European states. Secondly, the volume focuses on how the current crises in fiscal policy, Brexit, security and terrorism, and migration through a borderless European Union have had dramatic effects on European states and will continue to do so. Oxford: OUP – Oxford University Press, 2017. 512 p.